Microsoft introduced excellent new feature called In-Memory OLTP engine in which selected tables are entirely in memory for high performance and low-latency data access. 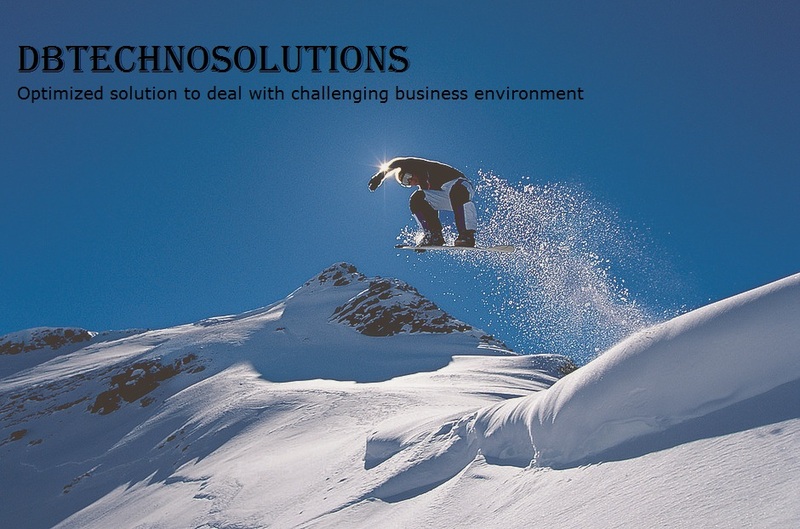 Hekaton is the Greek word for "100" - representing Microsoft's goal of improving performance by 100x. It has lock-free design in which relation database engine's locks and latches will not be used. This is the main key differentiation point between In-Memory OLTP Engine and DBCC PINTABLE or putting databases on SSDs which are using the same relational engine with its locks and latches. It uses new optimistic multi-version concurrency control mechanism. When a row in a memory(shared buffer) is modified, In-Memory OLTP engine creates entirely new version of that row with the timestamp. This process is very fast as it is done in memory. As In-Memory OLTP engine maintains multiple versions of data, we will find lot of deleted\discarded rows in memory over a time. Microsoft implemented new lock-free garbage collection process in order to clean-up all these unwanted rows from memory in periodical basis. It also uses the efficient stored procedure compilation process which takes interpreted T-SQL code and compiles it into native Win64 code.This is to reduce the CPU execution time while processing the query. 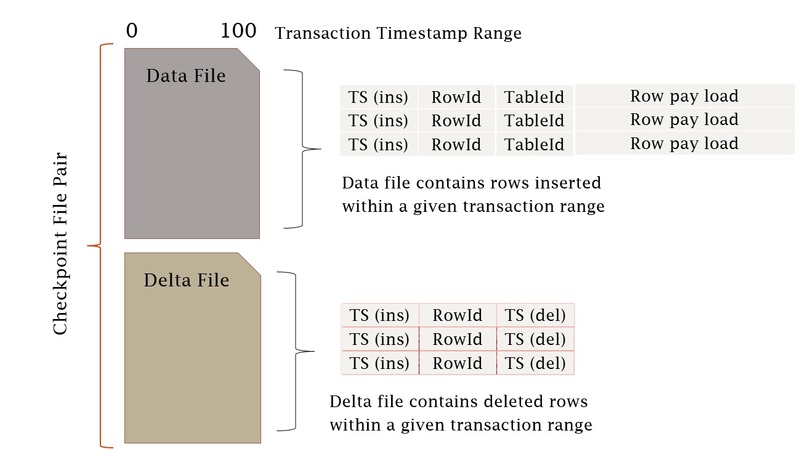 In-Memory OLTP table uses the HASH indexes (or) memory-optimized non-clustered indexes. It doesn't use the B-tree structures used by on-disk indexes.Hash indexes are best for item lookup and memory optimized non-clustered indexes are best for range of values. Memory-optimized tables can support only maximum of eight indexes. Microsoft includes the new Analysis, Migrate and Report(AMR) tool to identify the tables and stored procedures that would benefit by moving them into memory. And also helping to perform the actual migration of those database objects. In-Memory OLTP maintains less logging. All logging for memory-optimized tables are logical. No log records for physical structure modifications. No index-specific / index-maintenance log records. Data files are ~128 MB in size and it writes 256 KB chunks at a time. It stores only the inserted rows. Delta file size is not constant and it writes 4 KB chunks at a time. It stores IDs of deleted rows. 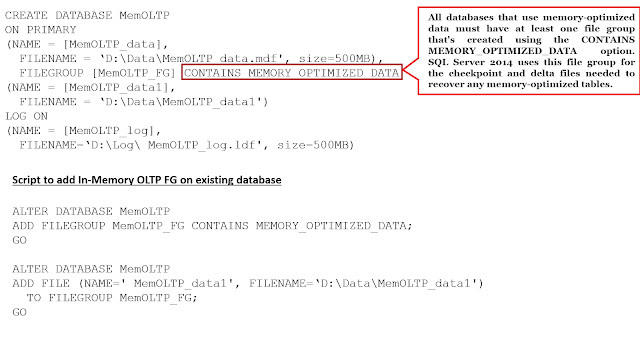 Here is the script to create Memory optimized table. SCHEMA_ONLY - Only schema will be persisted and not data. 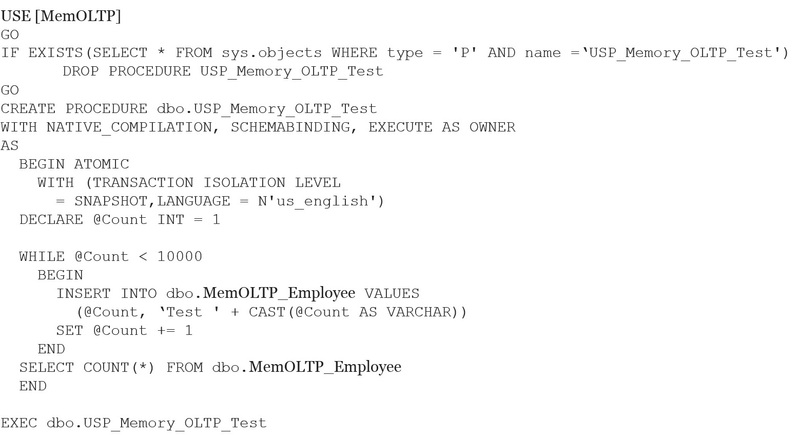 Find below the sample In-Memory OLTP stored procedure. This stored procedure will be compiled into a native Win64 DLL that contains native processor instructions that are executed directly by the CPU, without the need for interpretation. SCHEMABINDING: It indicates that tables referenced by this stored procedure can't be dropped. This keyword is only valid for natively compiled stored procedures in SQL Server 2014. EXECUTE AS: This option controls the user context under which the stored procedure should be executed. BEGIN ATOMIC: Natively compiled stored procedure body must consist of exactly one atomic block, which we specify with the BEGIN ATOMIC keywords. The atomic block requires that both the TRANSACTION ISOLATION LEVEL and LANGUAGE options be specified. In addition, any tables that are referenced must use a two-part naming scheme. 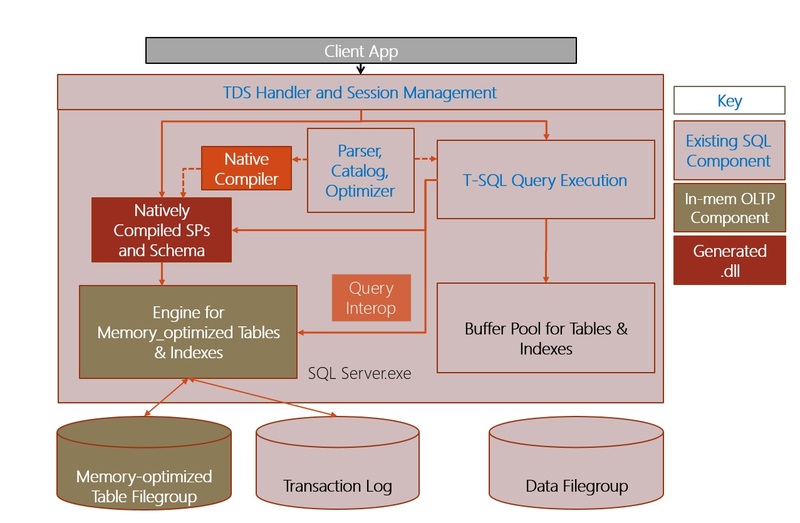 Client application connects to TDS handler in order to access either disk based table or memory optimized table. 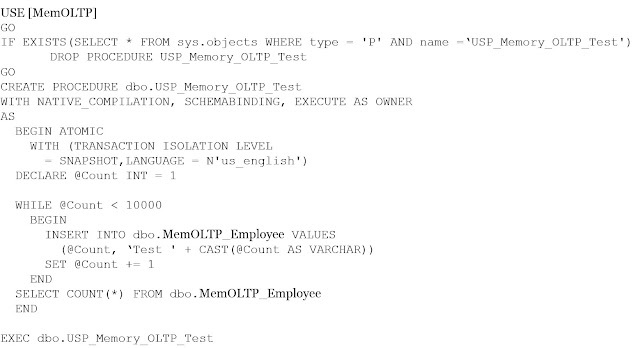 Memory optimized table can be accessed by interpreted T-SQL through query interop utilities. And natively compiled stored procedure can access only memory optimized tables.